Do you ever feel like your Basket is FULL of LOVE?? I do when I think of my beloved Kindergarten teacher and her love for my kids. This will be our 3rd little angel coming through her class... and I couldn't resist a little love in a basket for her! Keep an eye out as I'll be featuring some of these goodies this week... Load your basket up... it's going to be a Tea-Riffic Year!! Our Mrs. E is a dear friend. She's who I entrusted my beloveds to and who I even ask parenting questions of... She's a Tea Loving woman and I couldn't resist a Tea-Riffic basket! 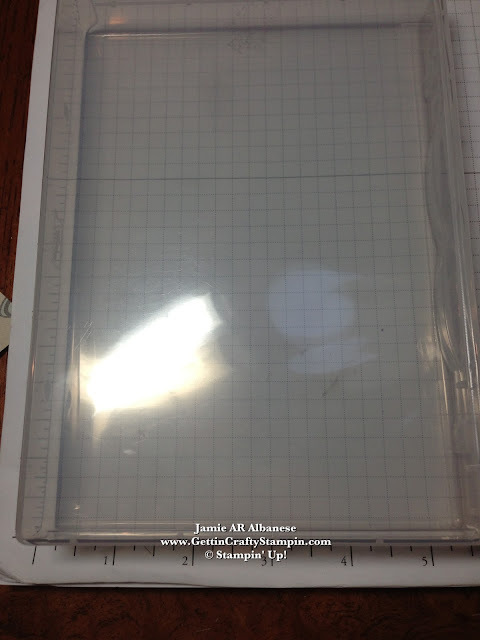 Wood-Mount cases are a great tool one can use to create a re-purposed gift! 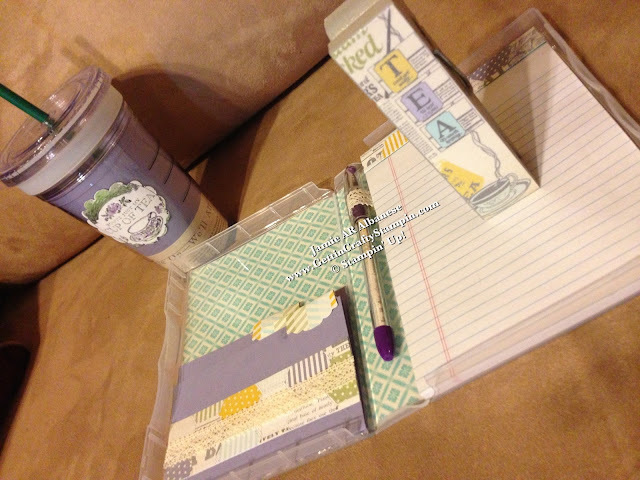 Not only do they stack your stamps so well, they can create great notebook holders! 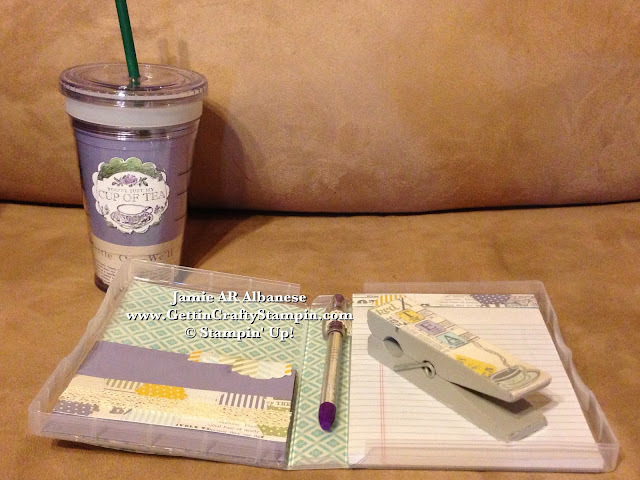 Mrs.E's love of Tea and Purple had me whip out our Afternoon Picnic (#131390) Designer Series Paper. The Wisteria Wonder is a wonderful purple! Here the Mixed Patterns are such fun! 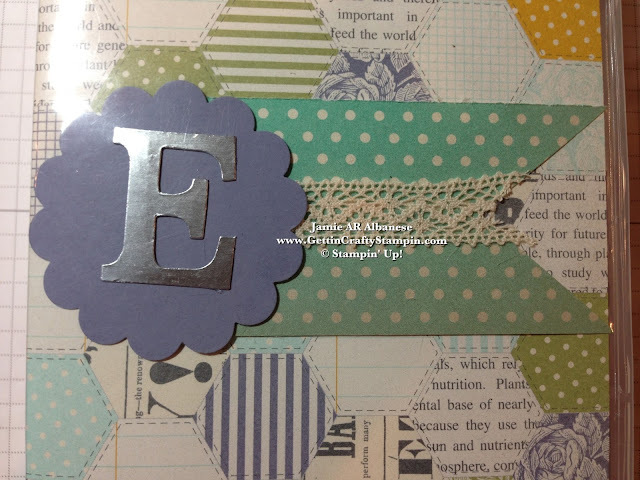 The Silver Foil Sheets (#132178) and Big Shot* Die-Cutting Machine (#113439) and Typeset Alphabet Bigz Dies** (#127553) give this Shiny 'E' as she shines in my life! * See How to Learn and GROW with the upcoming Big Shot CLUB!! ** Hostesses can get 1/2 OFF!! Adding Victoria Crochet Ribbon (#118481) and the double sided Designer Series Paper for a color-coordinated look. 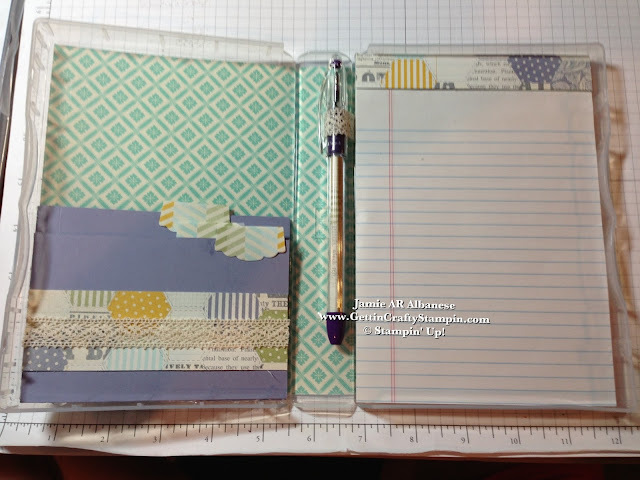 Creating a small mini folder system inside so she can saves receipts, notes and more!! 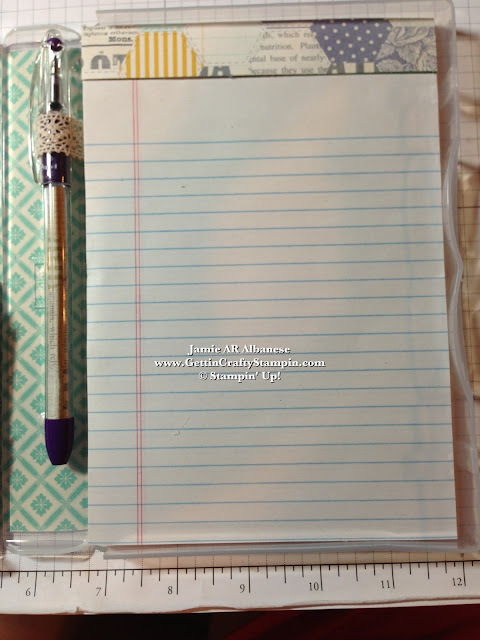 Topping the Note Pad with the Afternoon Picnic Designer Series Paper and create a coordinated pen with the paper inside... this allows for mixed and trendy patterns while capturing her love of purples! She's sure to keep this in hand - on her Soccer coaching fields and car - we always need a piece of paper for notes!! 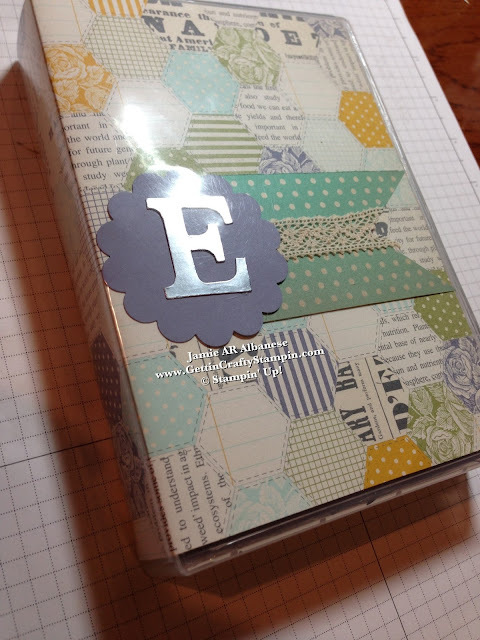 Giving a Stationary Kit is easy and fun... she's sure to appreciate it!! 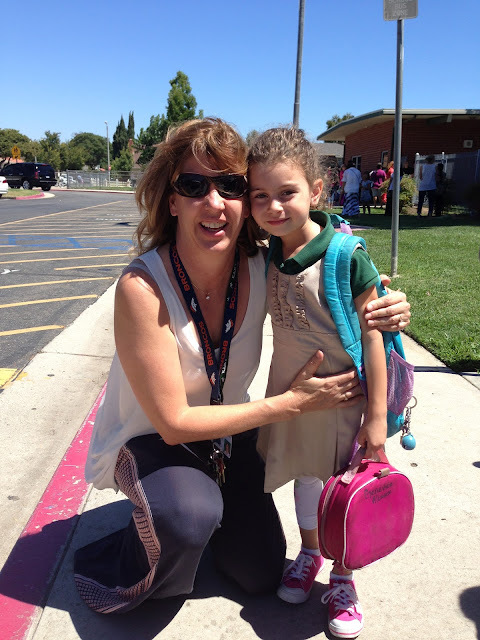 First day of school cool - our Carina with the woman she's grown up with... Mrs. E. we started volunteering when her older brother was in K... and she was in my baby pouch. She's now in K in the same class... Mrs. E is more like family! A place for all your odd notes and receipts (not in the bottom of your purse) to keep you organized... while looking stylish! What do you think? Share this and me with those you love.. Pin, Email, Facebook, Tweet.. and CLICK HERE to see the full line-up of our amazing products! 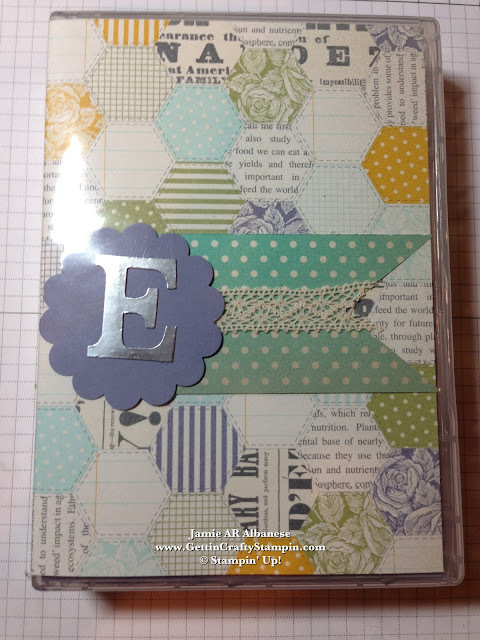 Personalized gifts are so wonderful to give! Here we capture her love of life on the go! From her kids who've watched my kids to her giving me a shoulder to lean on... her love and devotion to the kids in our lives.. she even teaches Soccer to kids who are myyyy kids ages - just because she loves them! My Cup Runs over... or in this case, my basket does! 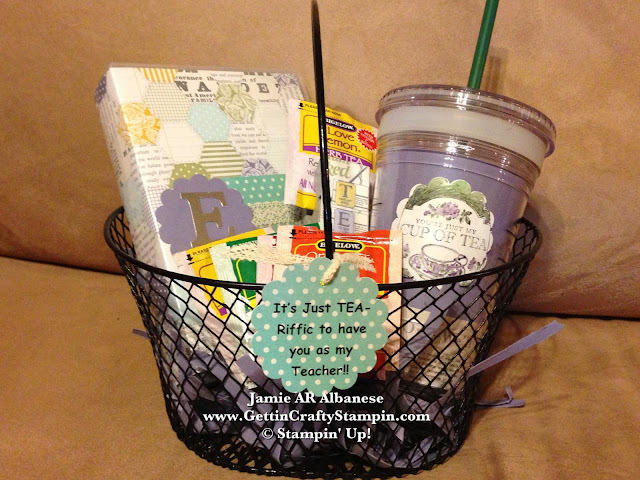 Creating a teacher gift is a great way to score points, (I made a basket - lol), while showing that you care!! Teachers put so very much into the kids they teach - while getting pay cuts over and over! We have another lil one lined up to come through her class in a couple of years.. and until then I'm glad to have her as our Tea-Riffic teacher! !